The Vodafone Foundation and researchers at Imperial College London (Imperial) have teamed up to recruit smartphone users to help in the fight against cancer via an app that crowdsources the processing power of mobile phones overnight. 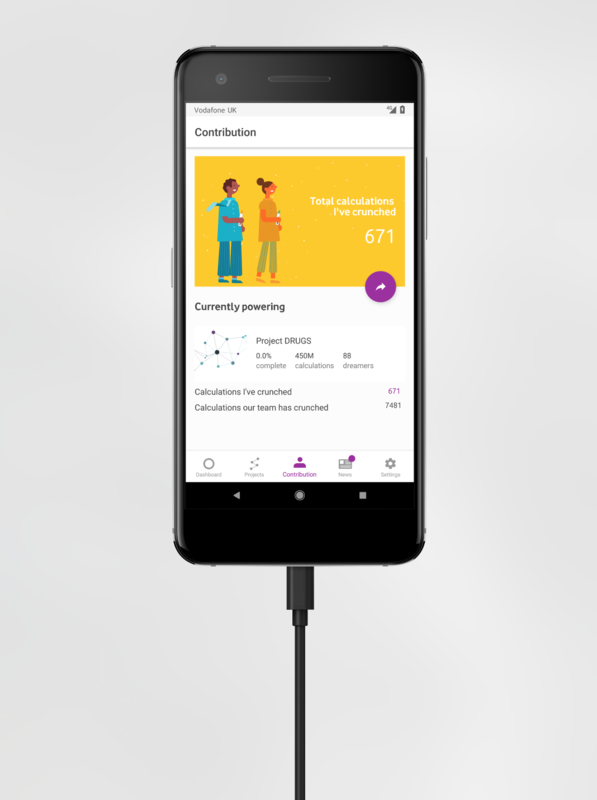 The DreamLab app, developed by the Vodafone Foundation, uses the collective processing power of smartphones to help analyse huge volumes of data. As part of the project, called DRUGS (Drug Repositioning Using Grids of Smartphones), a team led by Dr Kirill Veselkov from Imperial’s Department of Surgery & Cancer, has designed an algorithm that breaks down enormous datasets into small chunks. Through DreamLab, these small data chunks will be analysed by a network of smartphones to find links between datasets which could help identify more effective combinations of existing drugs to treat cancer. While traditional cancer treatment methods are dictated by the type of cancer tissue a patient has, this research aims to use genetic profiles to find the best cancer treatment for individuals. Using this mobile cloud-based processing approach aims to reduce drastically the time taken to analyse the vast amount of data that exists. A desktop computer with an eight-core processor running 24-hours a day would take 300 years to process the data. But a network of 100,000 smartphones running six hours a night could do the job in just three months. As an indication, a new device can run up to 60 calculations, solving up to 24,000 problems in six hours if fully charged and plugged in. Researchers believe that in the long run this work could speed up access to effective drugs and enable tailored treatments for patients. 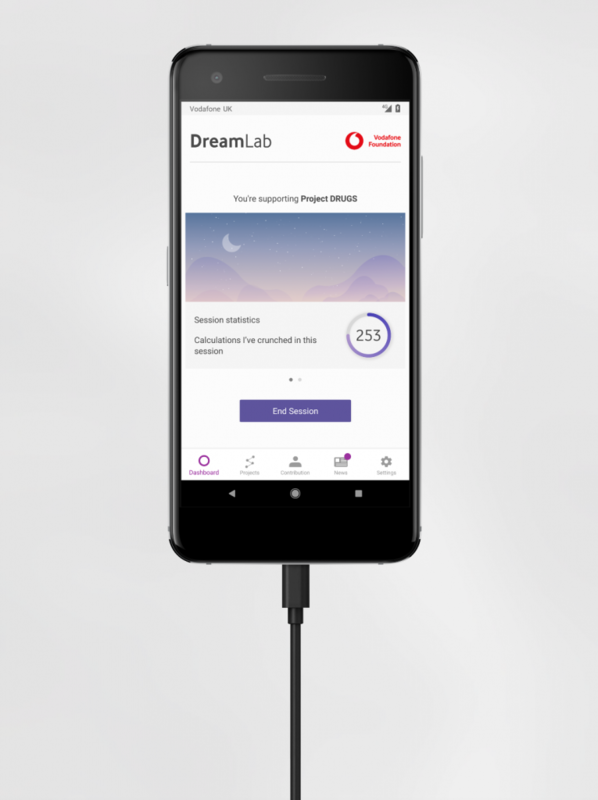 Andrew Dunnett, Director of the Vodafone Foundation, said: “DreamLab is a great example of the transformative power of connectivity and technology. This innovative app gives everyone the chance to play a part in the fight against cancer while they sleep. We hope DreamLab will significantly increase the speed at which Imperial College and other researchers are able to make breakthroughs in cancer research, ultimately saving lives”. The app is free to download and free to use for Vodafone customers, meaning it does not eat into monthly data allowances. The app can also be used across other networks, with users choosing how much data they wish to donate, or connecting via Wi-Fi. To download the app please search for DreamLab in the App store for iOS or Play Store for Android.